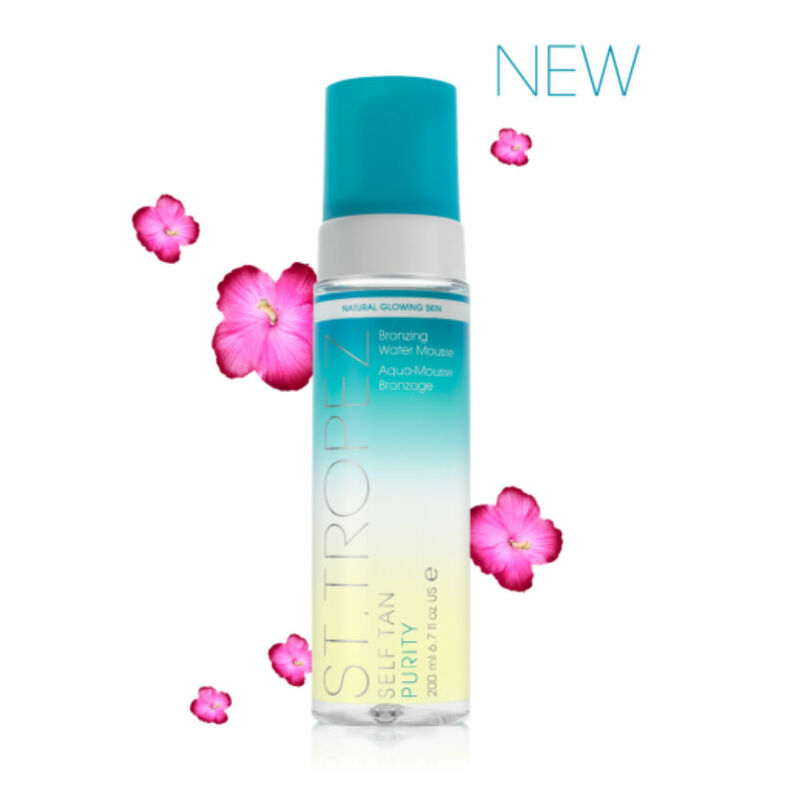 The St. Tropez self tan purity bronzing water mousse gives a medium/golden tan that lasts for days. No need to wash off with this new, clear, refreshing and lightweight formula. The mousse is infused with 100% naturally derived and vegan-friendly tanning actives. Say goodbye to that nasty self tan smell and hello to the uplifting tropic scent of water mousse. Keeps skin hydrated and streak free with no transfer. Directions: Exfoliate before use. Moisturise any dry areas. Apply using a tanning mitt in long sweeping motions. Wait until touch dry before dressing. Allow 8 hours before getting skin wet, for tan to develop. Reapply as desired for gradual build up.